It's been over a month of testing now so it's finally time to bring you my verdict on the Skin Food Black Sugar Cleansing Oil! Using an oil on your face seems like a strange concept since the goal is to always de-slick your face, however the best way to clean up oil is actually with oil since water alone is unable to do so! This cleansing oil uses mineral-enriched Brazilian black sugar to dispel even the toughest makeup and leave your skin feeling soft. A bottle of this stuff will set you back about $17 but it lasts for a long time since a little goes a long way. This will be almost like a comparison review because I've been using the Garnier Cleansing Oil for months now so it is what I've come to expect cleansing oils should be. That one is truly phenomenal, it is inexpensive and easily accessible and I highly recommend that one to anyone. Don't let the fact that it says dry skin on the bottle deter you, I have extremely oily skin and as long as you follow a double cleanse routine (cleansing oil followed by a cream or foam cleanser) it won't be an issue at all making your face oilier or breaking out. But I digress, this is a review for the Skin Food and not a rave about Garnier. Cleansing oils should all be packaged in pump bottles because if you've ever tried to maneuver with a pour out product it you know it's near impossible to get it out without spilling it every where whether it is out of the bottle or off your hand. This bottle dispense the perfect amount for me in two pumps which some people may find excessive since I only wear eye makeup. I've tried it with one pump before but I just didn't feel like it was enough to strip everything. I use a great deal of waterproof mascara and I'm a contact lens wearer so at the end of the day I really like making sure all that stuff is off my eyes. Right away I noticed it was a more liquid consistency that other cleansing oils I have use. Not quite as thin as water but I was skeptical of its ability to latch onto makeup and get everything off without a lot of rubbing. My experience with cleansing oils is that I find I can sort of let it sit on the makeup for a few seconds and easily be able to wipe it off gently so I didn't think this thinner consistency would be able to do that since I imagine it would just run. There was also a distinct citrus scent to it, not overwhelming but in my opinion a little unnecessary. In action I genuinely felt I had to work a little harder to get the last bits of mascara, as I feared, it didn't have the same melting effect that I was expecting and I find myself having to rub a little more before visually I can see that it was all gone. Now for the true test of a cleansing oil is looking at the residue on a cotton pad when you use toner. Even before that several times I have noticed traces of mascara that migrated to my waterline after I washed my face so my toner soaked cotton pad is picking up all that residue as I go in with that. 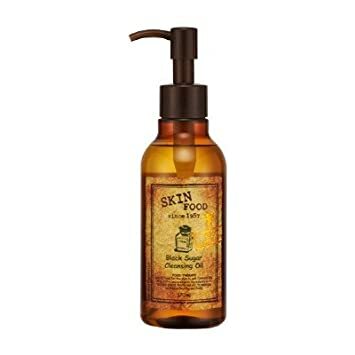 Overall I didn't notice my skin getting softer than from other methods of cleansing so there was another part that just didn't deliver for me. Bottom line I don't think that this is a very effective cleansing oil, it was way more mechanical an ultimately did a poor job of removing my makeup. If it was having this much issue with very minimal eye makeup (mascara and brow pencil) I can imagine it would be a straight up nightmare for a full face of makeup. I would not recommend picking this stuff up at all. Hi there, stumbled upon your blog in search of a GT review of the elegant evening maxi as I try to decide on a swap. Decisions, decisions. That's so great, it's definitely one of my favorite drugstore products that I recommend to everyone since it works great for just a few bucks! Also in love with that elegant evening maxi it's so pretty and good for so many occasions!! KOREAN BEAUTY LUXURY Co. Ltd. offers you high quality April Skin Products, Etude House Skin Care Products, Cleansing Oil and many more at an affordable price as per your requirement. Buy Now!